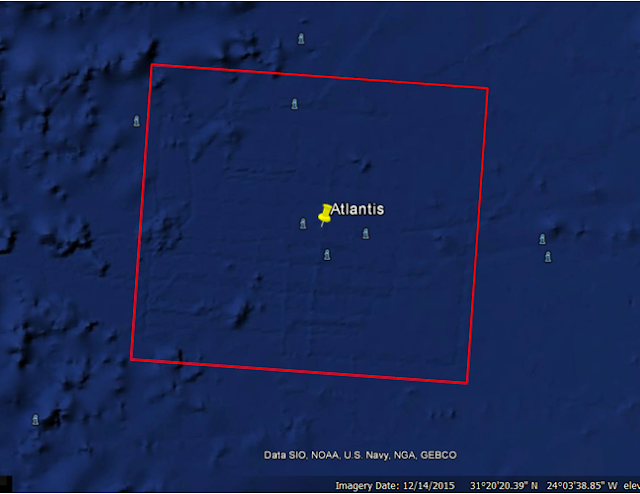 Earthquake Prediction: Atlantis and Zealandia: Interesting observations! Atlantis and Zealandia: Interesting observations! The previous post in our blog on Zealandia, published in GSA Today, which I discovered recently, has triggered my interest to check and compare the corresponding alleged location of Atlantis. The best read I have on Atlantis which fits Plato's work in my opinion is located at 31degrees: (23':27" N, 24degrees:15':23'' W), and one can easily SEE IT in Google Earth, (below) and we show you the outline, as per Plato's account and description. The map below is from Google Earth and the dimensions and divisions fit his account. What I did was also to take Zealandia, and compare their locations on the map in antipodal mode. See below. Zealandia is at (31degrees:21':13"S, 156degrees:0':13"E) approx, exactly antipodal! 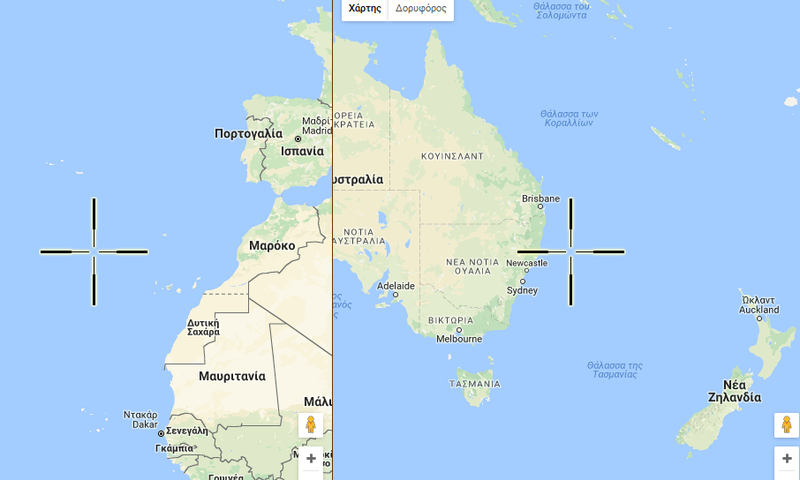 Also the distance of New Zealand to Australia is exactly the distance of my co-ordinates of Atlanta all the way to Portugal.! So it is a patch there of similar dimensions? We can see clearly now Zealandia, and Atlantis are ANTIPODAL!! It is amzing thought! Both continents sank and were in ANTIPODAL! If something hit one end of a sphere, the other opposite end will also feel the hit. IS IT POSSIBLE THAT whatever was the cause of ONE continent to sink to be the same cause for the other too?? ?